Hey, I get it. We all try to act strong and brave because sometimes life picks hard on people perceived to be weaker. The only thing is, I believe that people who show their emotions are the stronger ones. 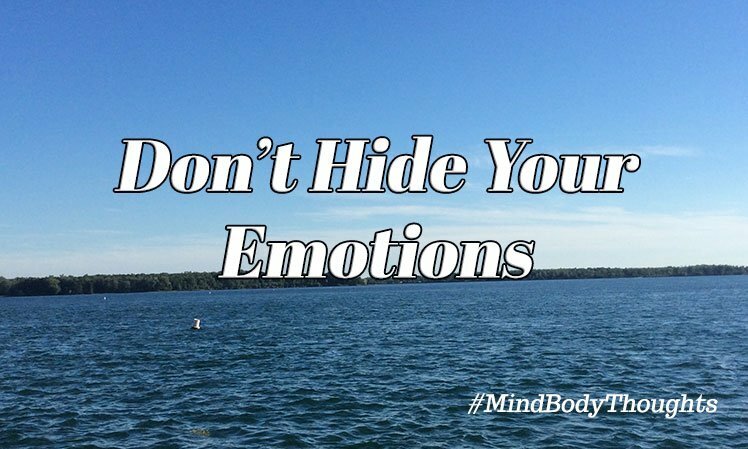 As humans, we too easily want to hide the emotions, but this is very detrimental to the mind, body, and nervous system. It is like bottling everything up inside and hoping that nothing ends badly as a result. It would be the same thing if we put a pressure cooker on the stove and never turned off the heat. Emotions are there for us to connect to life more deeply. They help us explore new avenues and give us energy that propels us forward. Sometimes they are there to help cleanse our soul of grief and despair. Many times, they help us connect what is going on with the outside world with what we feel inside our mind and body. Even though I see people claim there are good and positive emotions, I often disagree with how they view these things. Negative is not the right word to use because it makes people hide their emotions even more. It keeps people from expressing them. Many view anger as negative. Anger is helpful to get one past a challenging part of their life. You cannot have the emotions of happy without having sadness. You can’t have love without loss and grief. Emotions are present for a reason, and one without the other leaves us unbalanced in life. As a result, we need both to feel the full spectrum of the emotional plane. Of course, I realize that if you too much of any emotion, it throws your life off balance. We need to keep in mind that too much of any emotion may be the moment where it tips our life to a better balance. Sometimes we need it to help us move forward and pass a moment we are struggling with in life. Emotions are not something we should hide from and act as if they don’t exist. They are there for a reason, and we should embrace them, so we understand their purpose. Hiding from them will only lead us to an imbalance in the mind and body.